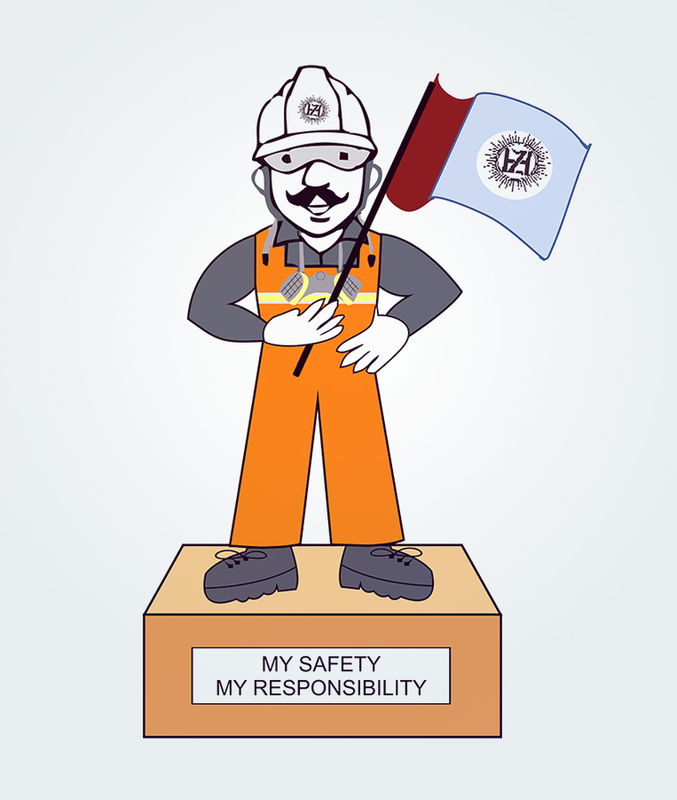 Safety is the value and philosophy around which we do our business. Our Safety initiative Aarohan is designed for cultural transformation with a message that we care for all our Stakeholders. We are currently engrossed in redesigning our’ Safety Culture’ to ensure’ Safe Life’ for all. As we progress towards creating incident free workplace, we have taken the pledge to enthuse this philosophy into the lives of our employees. With this we are aiming towards making our Company the safest place to work. The safety improvements over the past few years have been achieved by concentrating on improving our safety systems and continuing to build and strengthen our ‘safety culture’ through participation of employees and contractors in safety meetings, safety interaction and encouraging employees to intervene if they see an unsafe act/unsafe condition, near miss reporting. 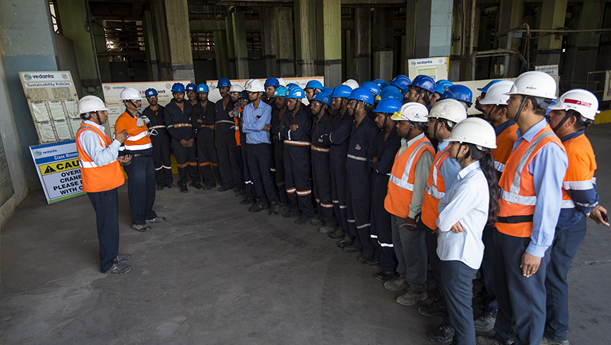 To strengthen the safety system number of such leadership and awareness programmes encouraged across all of our sites. These initiatives have promoted safe behavior among all employees including contract employees and reduced risks at our operations. We launched Safety Whistle Blower to foster safety across our operations. Engage in conversation regarding safety concerns & issues. The Safety Interaction process is a six steps process which recognizes the positive safe acts/ behaviour as well as the unsafe behaviour / concerns. The entire discussion is meant to be a constructive two-way conversation about safety, acknowledging safe work, correcting unsafe work habits and resolving issues, if any. SI Mobile App also launched for easy access. Initiated Safety Action Meeting to engage with employees on safety at the work place. Safety Action Meetings are organized to involve employees on Safety themes and focuses on group discussion between 5-6 participants with an agenda of discussing on a Safety topic/theme within an area and brainstorming among themselves to arrive at solution on the identified problem.It is one of the best ways to build a safety culture in which whole group works together. Identify and analyze safety problems. Suggest and carry out actions to address those problems and make workplace safer. In organizations that are striving for excellent Safety performance it is essential to respond to incidents in the workplace and investigate them so as to prevent repetition. Serious Incidents, Dangerous Occurrences and Fatalities also demand a substantive demonstration that the organization refuses to accept such incidents ought to be tolerated. Working with students by providing support classes & study materials, conducting residential camps, remedial classes and regular assessments Introduced Stand Down Safety Protocol to demonstrate the grief felt by site leadership for any loss of life, injury to employees or any process incident which could be a cause of fatal/potential injury or may cause loss to asset also to ensure that the company’s belief that all such occurrences can be prevented, and must not be repeated, is clearly understood by employees and contractors. Stand down also focuses on sharing the learning’s with all employees to avoid the repetition of incident in future. We launched the ‘Life Saving Rules’ (LSR) for promoting ‘Zero Harm’ culture. All our employees, contractors and contract workforce are expected to adhere to the LSR with zero tolerance. Any non-compliance would lead to detailed investigation and may also result in disciplinary action. Besides our own employees, our operations also rely on contractors to provide additional labour and for specialized skills and services. We expect the same standards and procedures from contractors as we do from our employees. They are included in our safety performance data and we make no distinctions with regard to their safety. We are standardising contractor management to foster contractor awareness, involvement and improvement. We are committed to ensuring that our contractors receive the same level of health and safety training as our own employees. 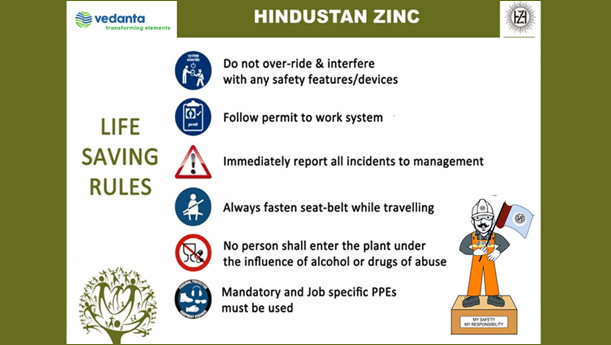 It is mandatory for all units to provide safety induction training before a contractor can gain entry to a plant. Trainings includes workplace hazards, on-site emergencies, use of personal protective equipment (PPE) and incident reporting. 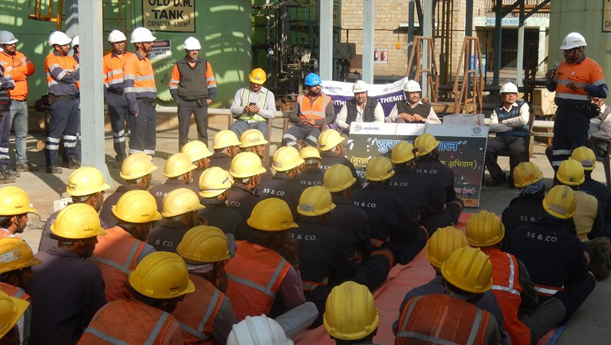 “Safety Chaupal” , “Safety Nukkad” and “Aap Ki Awaz “are being conducted, whereby senior management and union representatives engage with workers on the shop floor to emphasize the importance of a stringent safety culture.This is done through interactive discussions, demonstrations and information sharing. Awareness programme on incident reporting are being conducted at all sites to improve reporting of incident by contractors. As a result there is improvement in incident reporting from contractor side. Pictorial display of Near miss done at sites to increase more awareness.Incidents learning’s are being shared in tool box talks and safety meeting with contractors to avoid re-occurrence. 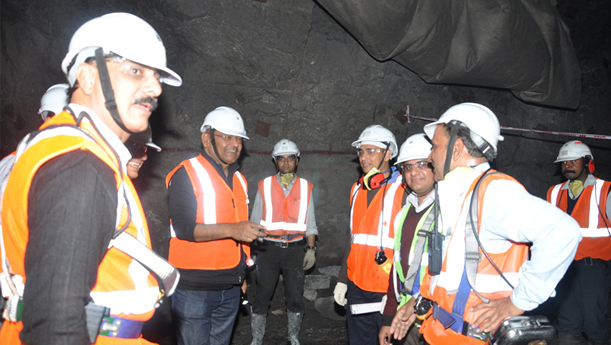 To further strengthen the Safety Initiatives at Shop floor and ensuring compliance of the Safety Rules, trained employees conduct field safety audit of the contractor site for Improvement in Projects & Shutdown Activities by observing them and giving feedback for corrective actions. The safety culture is a suite of training courses and workshops, tailored to the needs of employees ranging from new recruits to senior managers and addressing personal safety, systematic failures and risk management. Our management standards emphasis the training of both employees and contractors based on role, risk and responsibilities, and use different learning methods to cater for differing needs – for example, videos and classroom training, onsite/ on the job training. 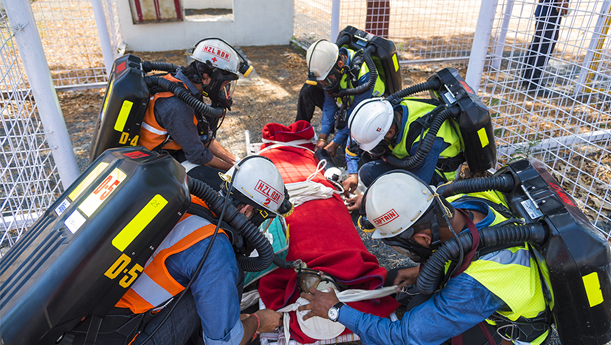 Training initiatives covers process safety, emergency preparedness, use of self-contained breathing apparatus, emergency management, emergency kit handling, fire safety and prevention, fire fighting, general safety, material handling, first-aid training. Regular training is carried out during the year to raise awareness and encourage safe behavior in all work-related activities & also extends to the offsite safety. Employees across ranks are also sent for external training programs and seminars covering safety, environment, management development and technical training’s etc. We are focusing on intensive structured training through in- house resources as well as by engaging expert agencies. 3 days structured safety training at all the smelters for the new entrents, refresher training’s for regular employees as well as contract workmen and 5 days vocational training at all the mines are in regular practice.